C onsignment shops are a great way to make money and to save money. Here at Markdown Mom we have visited a number of consignment shops over the years, and here’s another one we have uncovered in the historic area of St. Paul, Minnesota. At ELITE REPEAT merchandise literally flies out of this store, so be sure to check often. Catering to the fashionistas on a budget, you will find designer goods at affordable prices. Markdown Mom Chics bought this FIND, a designer perforated leather blazer/jacket in gold leather, orig.$$$, 50% off consignment price of $44=$22 for a fabulous look. Selections go beyond apparel, and include accessories like hot,hot, handbags, jewelry and more. Right now they are having a blue tag sale with an extra 50% off. Merchandise never becomes outdated since stock is replenished monthly. Designers and retailers from New York to California include Macy”s, Bloomingdales, Express,Banana Republic, Nine West, Ann Taylor Loft, Coach, and more. Looking for the significant other in your life, check out the shoes, men’s suits, shorts, and shirts. Donated food item gets an extra discount. →Click Here for ELITE REPEAT Slideshow! 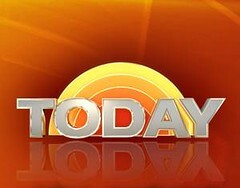 When Shopping, Please Tell Owner Shelly Markdown Mom Sent You! Vera Wang has coined a new term in referring to her outsize accessories. Gimundo is a great term and certainly applicable to large, chunky fashion jewelry. Especially hot this season has been necklaces made from large natural stone such as jade, turquoise, onyx, coral, jasper, chalcedony to name a few. In gold and finer jewelry, we see the layering of chains, torsades, with the additions of pendants, and mesh scarves. This super chunky introduced by a collaboration of Vera Wang with Philip Crangi last fall is now being picked up by mainstream shopping networks and “Go Big or Go Home” is the motto to supersize your accessories. Bargain fashionistas can get this look at vintage thrift stores and at such chains as Target. Markdown Mom found this large zirconite bracelet there for $59.99, and check out chunky necklaces at the site for under $10. Cut The Cost Of Back-To-School Clothing! It seems every year that kids grow faster, styles change, and the cost of clothing keeps going up. Even more so this year. Here’s a site to cut the cost of your Back-to-School Bill, plus sell those items that the children have outgrown. Just Between Friends® is a site for consignors of gently used maternity, children and baby clothes, furniture and equipment. You can pack up your items for sale, locate a sale in your area, and drop them off plus get a chance to shop the presale. These sales are usually located in a metropolitan area. If your area currently does not offer this service, consider becoming a franchisee yourself. In Minnesota, event days include Maple Grove on August 21-23rd, Edina-September 11-13th, and Egan-October 3rd-4th. Plus, each sale supports non-profit charities. Thrift stores are like chain stores and like other forms of business can be tied into location, location, location! The major distribution centers for thrift stores offer a variety of merchandise and since many are centrally located in urban areas or near colleges and universities, items can run the gamut from expensive furniture and art selections to an abundant apparel selection. Increase customer traffic in these densely populated areas can spell more frequent visits and on-the-spot decision-making to secure a "find" for the bargain hunter. Additionally, in urban areas you will find thrift store "outlets" where the customer can buy merchandise by the pound or the bag. These outlets will have a greater apparel selection than other merchandise, and in some cases you will have to literally dig for your bargains. Suburban thrift stores can offer more decorative designer items especially in furniture, rugs, and home accessories. These stores tend to be smaller and newer as thrift stores expand their suburban markets, Among bargain hunters, thrift stores are known for the finds that can be found in each which varies according to the clientele. You will find competitors such as antique dealers and flea market vendors checking out the merchandise on a regular basis during the week, especially on certain days of the week such as Thursdays when new merchandise is put on the floor for the weekend crowd. There is a new genre emerging in thrift stores and that is the upscale thrift store carrying only designer apparel, jewelry and accessories, and original art work. 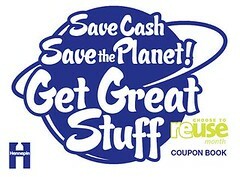 Catering to a clientele that loves designer goods at bargain prices–not necessarily rock bottom prices–who love the idea of being green by buying recycle goods that are fashionable and sport designer labels. These stores rival consignment stores and. in fact, the one that MDM found in Minneapolis is located in an area of boutiques and designer consignment stores. 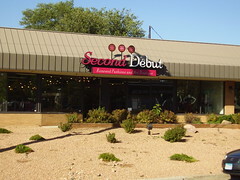 Second Début-Goodwill Boutique located in St. Louis Park, Minnesota is certainly a treasure hunter’s dream! 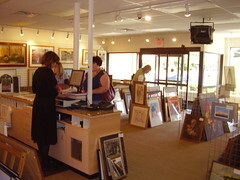 The store offers a variety of brand name apparel, shoes, and accessories as well as artwork. Women’s apparel is somewhat limited in sizes (2 to 16/18), but offers a good variety of blouses, t-shirts, sweaters, pants, jeans, and fall and winter coats. Prices generally range from $10 to $50, depending on the item. Customers are welcomed with cookies and a beverage to help re-energize them after a hard day’s shopping. 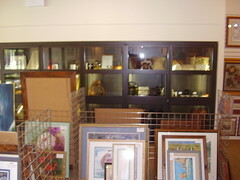 Attached to the clothing section is a room entirely devoted to paintings, photographs, and other prints (pictured left). Among the many artwork styles you may find here include: Contemporary, Classic, Asian, African, and New-Age. 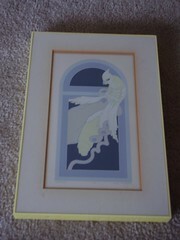 There is also a collection which sells at the store or for auction on E-bay (featured right). MDM found an Interesting contemporary, art-deco piece by John P. Martineau called "Bird N’ Hand," which sold for $45 (left) and a lithograph signed and numbered of an old wooden barn. If you are fortunate to have specialty or theme thrift stores in your city, please visit them often to check out new merchandise and any special sales like the upcoming art sale in Minneapolis. As MDM overheard one customer state that shopping thrift stores is fun since "you never know what you may find." Consignment stores are expanding their inventory to include furniture, oftentimes designer and antique furniture, housewares, and home decor items. A favorite consignment chain that MDM found on her Tour of the Twin Cities was Turnstyle. This is a local chain of consignment shops in the Twin Cities. The particular one MDM visited is housed in a mini-mall in the area known as Highland Park. This store is bright, organized, with a friendly and accommodating staff. Not only can you find designer apparel, shoes and accessories, kitchen and electronics, but signed pieces of original artwork at bargain prices! Consignment merchandise is received on a daily basis, so it is worth the effort to check often to see what’s new. 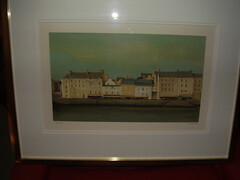 On this visit, several lithographs had just been received and had not been priced. Remember, don’t hesistate to ask the manager about an item. MDM did and is now the proud owner of this signed and numbered lithograph. 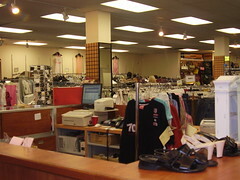 Consignment stores like any retail outlet periodically have sale and seasonal events such as 50% off clearance and more. One local consignment store holds a $10 bag sale on clearance merchandise. Be sure to mark your calendar for these events for super savings!